Recently I encountered a Margaret Atwood quote. She said that during the slavery era in the USA many people deplored the situation but felt that nothing could be done as slavery seemed an essential part of the economy. And so it is today with our current attitude towards fossil fuels. Most educated people accept that through our use of hydrocarbons we are creating an environmental time bomb. And, moreover, in order to feed our oil habit we must trade with states which are at best non-democratic and at worst active supporters of extremist fundamentalist regimes. And yet it’s felt that, as in the era of slavery, we just have to accept this because this is how our economy works. Even without the environmental damage the fact that the supply of fossil fuel is finite demands that sooner or later we have to find alternatives. But the apparent lack of options supports denial of the consequences. The result? A near future doomed to be much like the present and a more distant future that people just don’t want to think about. It was not always like thus. The future, as seen from the 1960s, seemed very different. The huge technical achievements of the Second World War and the early 1950s seemed set to continue. When the movie 2001 was new, in 1968, Stanley Kubrick's vision, with nuclear powered spacecraft out roaming the rings of Saturn, seemed a reasonable extrapolation of present technology. Project Apollo, and it’s counterpart in the Soviet Union, was ongoing and funded by huge amounts of taxpayer money. An engineering culture that was as generously funded as the wartime Manhattan project developed. Space technology became, because it could be, an enormously expensive business. Yet the technology that largely underpinned it had been devised quickly and often on shoestring budgets during the war. Small teams of clever young people had been set very difficult targets and created jet engines, radar systems and the beginnings of digital technology. When 2001 actually dawned progress had slowed considerably. By then the Space Shuttle was the pinnacle of space achievement. It had been created, at enormous expense, as a way of reducing the cost of spaceflight.Yet the cost of access to space remained very high. By 2008, following a second fatal accident, it was heading for retirement and the USA had no serious replacement. 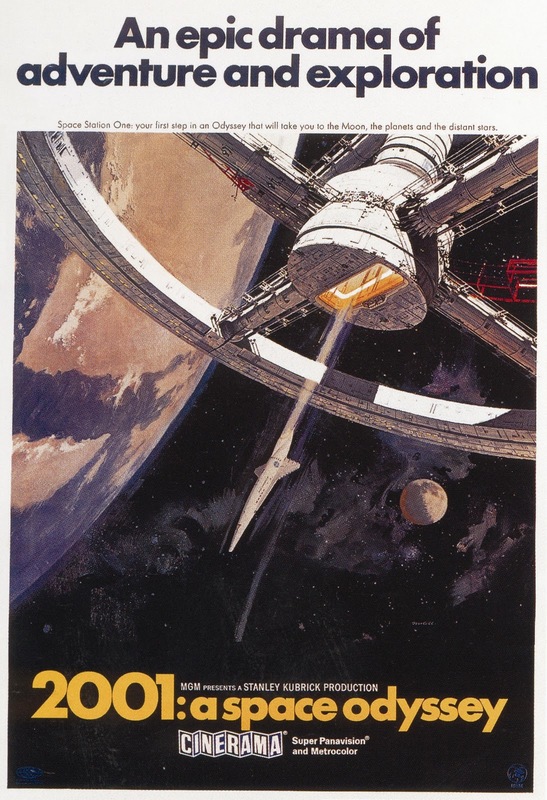 Space was costly and dangerous and the USA had no particular need to go there. And, except when there was a little government funding available, the aerospace industry had effectively abandoned space flight. World wide the automotive industry was equally moribund. A few big multinationals were churning out a range of largely equivalent models. There were a few outliers, Toyota with their hybrid Prius managed to become a taxi drivers favourite but the closest the mainstream came to innovation was the environmental absurdity of diesel powered private cars. As mentioned in an earlier blog an electrified future for cars had seemed possible as early as 1910 but despite a few private and taxpayer funded initiatives electric vehicles seemed permanently parked on hold. One might be excused for asking, what happened to the future? How had the shining future that had seemed so plausible in 1968 got lost? In fact many bright young people, who were the spiritual children of the technological wizards of the 1940s, were hard at work. They had been busy engineering the internet and the new tools that grew out of information technology. And out of these ranks stepped someone who was ready to take on the dinosaurs of the aerospace and automobile industries. And he would use the culture and practices of Silicon Valley. That man is Elon Musk. Barely 15 years ago he was just another rich geek who’d made millions out of the internet. Musk sought out areas that were overdue for innovation. An early endeavour was his take on on-line banking, this eventually became PayPal. Then Musk moved into an area of technology where previously only companies backed by huge amounts of taxpayers money had dared to tread. This was the field of space technology. Soon afterwards he got in on the beginnings of the Tesla car company. Musk did more than finance two companies. He had grand goals for both of them. SpaceX was intended to radically reduce the cost of access to space. And the Tesla car company was to make electric cars. Musk has stated on a number of occasions that his goal is to reach Mars. He has another goal to make personal transportation independent of fossil fuels. Musk brought with him a different kind of engineering culture. The aerospace and automotive worlds had a certain way of doing things. Traditionally they had deep management hierarchies with clearly drawn divisions between workers, engineers and management. They'd been structured like this for decades. But things had started out differently in the software world. The first software engineers had to design systems, write code and get it all working. And the Silicon Valley software engineering culture had a much shorter management chain. The chief executives often came up through the ranks having started out writing code. Musk himself did this. The aerospace and the automotive industries had taken to ‘outsourcing’ a lot of their essential engineering and manufacturing. Such a strategy reduces the risk and spreads the development effort. In any case, the strict traditional divisions between engineering and manufacture means that the actual hardware can be built almost anywhere. For a lot of the big names of manufacturing that means China. And outsourcing manufacturing means outsourcing jobs. But the outsourcing approach means the supplier companies don’t always produce the optimum solution. Moreover, in the automobile industry, where rival manufacturers share a common ‘automotive supply chain', it tends to steer all the competitors towards the same path. A company such as Bosch may supply a similar product to different, competing manufacturers. Over in the area of space technology outsourcing is justified on the grounds of spreading those taxpayer created jobs more widely. When Musk started SpaceX and got involved with Tesla he specifically picked engineers who were ‘hands on’. It was the Scrapheap Challenge/Junkyard Wars type of people that Musk recruited. An early photograph from Tesla shows JR Staubel, who is now the CEO of Tesla, assembling a battery pack for the prototype Tesla Roadster. And not only were the engineers expected to get their hands dirty, the men managing the companies were expected to have, as Musk has, a complete understanding of the technical issues. Musk has spent the last 15 years innovating in areas where big aerospace and big automobile had ‘proven’ that no other ways were possible or even desirable. 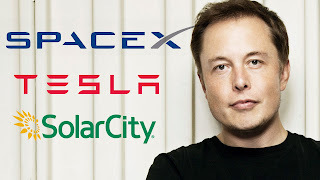 Musk has shown that the difficult art of rocket science is still within the grasp of the USA and what’s more that there are ways of doing it that are cheaper than even the Russians and Chinese can find. Musk has proven that not only can electric cars be practical they can compete at the luxury sedan level with the best in the world. And there’s plenty more to come. Musk’s strategy of vertical integration is now being extended to include battery manufacture and this is essential in order to bring down the marginal cost of batteries and enable his stated goal of a mass-market electric car with a range of better than 200 miles. In SpaceX another great milestone was recently passed when an orbital launcher was recovered and landed vertically under autonomous control. This was a challenge that has never even been attempted by 'big aerospace'. And the Tesla Model S is a luxury automobile which can have the performance of a supercar and include all the latest automated gadgets. Musk's efforts have been a catalyst for change. Now, the automobile big names are finally rushing to bring electric vehicles to market. Mercedes have announced four new electric vehicle projects for 2017. And General Motors have a new electric car design, the GM Bolt which is set to sell for $30000 with a 200 mile range. Here is a video of the Falcon 9 landing. The work of Elon Musk has meant that, once again, innovation means real change. He is a great engineer and a great visionary and more than that, Elon Musk has rediscovered the future.